Here is one of the tuning tools I use. 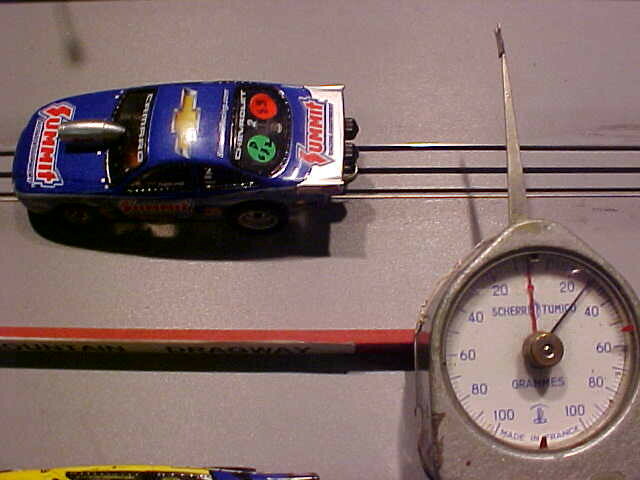 These are gram meters that show how much force it takes to lift the back of the cars off the track. 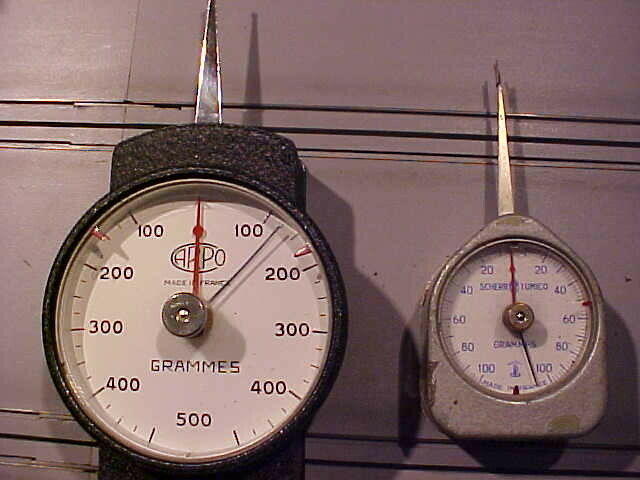 larger magnets picked up the readings to 30 grams with a corresponding 60' improvement average of .005. Very cool meters Dave and good info. 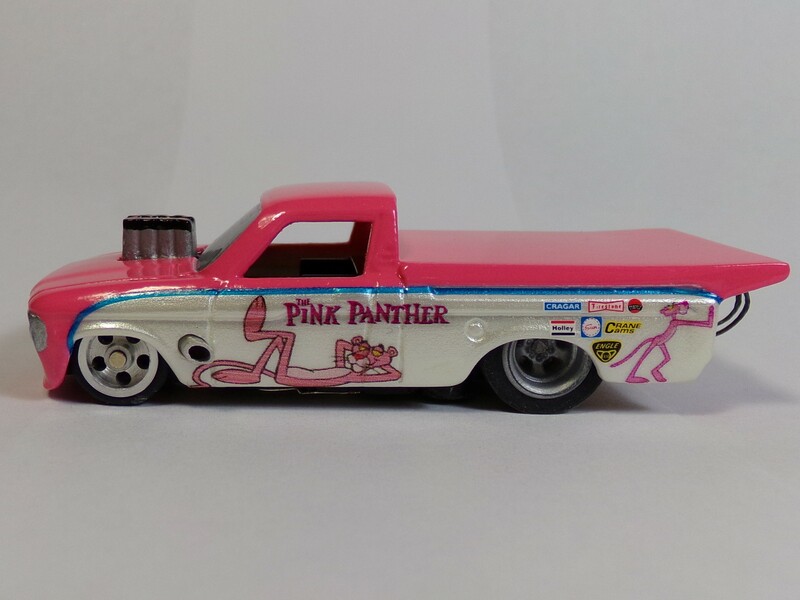 Magnet downforce is an important part of performance. More is not always better. I also check downforce by using my digital scale. It has a plastic cover and a metal pan, so I can set the cars on the cover and read the negative gram reading as it pulls up on the pan. I also match all my magnets this way. It works very well and gives me a "relative" scale to use for my tuning. It is not a gauss reading, but it is an accurate measurement. Yes, gauss reading can be deceptive as the mass of the magnet makes a difference. I have seen tiny neo magnets with high gauss readings that were very similar to much larger neos. The pull of the bigger magnets was much stronger however.